Review suggests: On the SAD American diet only energy restriction saves the average Joes & Janes form diabesity. Have you ever wondered what actually happens to your body, when you start dieting? I mean on a molecular / signalling protein level? If so, today's "Nutrition News Quicky" is for you, because one of the two studies this quicky is dealing with talks about just that: The type and onset of changes and the realization that Mr. & Mrs. Average Joe on their standard Western diets will gain weight, if they don't subscribe to life-long energy restriction. If you don't like that, it appears as if the "Macrobiotic Ma-Pi 2 Diet" could be a solution - or is this just too good to be true? With all the hoopla about macronutrient composition, timing, etc. and the realization that the calories in vs. calories out equation is not as simplistic as most dieticians still want to have it, the word "calorie restriction" has gotten quite a bad rep in the Internet health community. 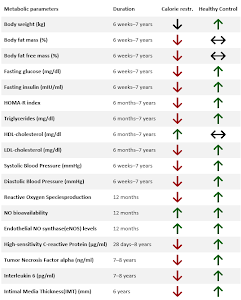 Table 1 Comparison of the metabolic effects of caloric restriction after a variable period of time on (Soare. ahead of print). If you take a look at overview of its effects in on body composition, blood glucose, lipids, etc. in Table 1, it does yet become obvious that you must not underestimate what will happen if you simply cut back on calories (based on overview in Soare. ahead of print). As long as the nutrition remains adequate (= you get the necessary micronutrients), eating less will lead to improvements in insulin sensitivity. This in turn triggers a whole cascade of beneficial effects that start with the reduction of fasting blood glucose levels and insulin concentration and end with significant reductions in body fat, type II diabetes rates, blood pressure and chronic inflammation. Hey Mr. Average Joe, you are going to be fat and sick! What is quite shocking, is the comparison of overweight dieters to Mr. & Mrs. average in a recent study by Soare et al. (2013). If you take a look at the data in Table 1 you will see that the "healthy control" group Soare et al. defined in their review of the literature will almost inevitably develop a diffuse combination of obesity-related pathologies we call the "metabolic syndrom". In other words, if Soare's assessment of the situation was correct only the dieters will be able to ward off an insidious increase in body weight, blood glucose, insulin, etc. in the long run. "What? I am going to be a fat sedentary slob?" Don't worry, you are not going to be either fat or a slob, unless you are sedentary. There is (imho) no debating that you either have to diet for the rest of your life or incorporate a minimal amount of physical activity into your everyday lives. If the focus is on health, recent studies have confirmed: The effects of exercise are more pronounced than that of "healthy dieting" (read more in the SuppVersity Facebook News). 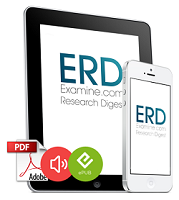 On a more general note, I would like to point out that these "results" (in a way the assumption that everyone who is not dieting is going to become obese is rather a hypothesis) confirms my personal conviction that the ostensibly paradoxical difference between our bodies' inability to compensate for increased vs. decreased energy intakes is also a result of chronic overnutrition - or, to put it differently: If there is a 20% margin in our daily energy requirements within which our weight would be stable, 90% of the weight stable population of the Western obesity belt is consuming those extra 20%, anyway. ⤹ "Macrobiotic Ma-Pi 2" = Diabetes Diet 2.0?
" Gut microbiota, inflammation, diet, and type 2 diabetes"
In their overview of the currently available literature, on the effects the administration of prebiotics such as fermentable dietary fibers has on the production of incretins (~satiety hormones), i.e. Many of these studies, which confirmed the previously referenced beneficial effects on GLP-1 and PYY have been conducted with pregnant women. These studies were able to show that the frequency of gestational diabetes is significantly reduced by probiotic intervention - immediate downstream effects on the children’s growth rate, on the other hand, were not observed (Luoto. 2010a). Luoto et al. 's follow up study is unfortunately does yet share one of the central limitations 90% of the currently conducted experiments have in common: They did not include all the factors that may be involved in the development of obesity, in particular dietary habits. This takes us back to the previously mentioned "recent" series of studies, the results of which have not yet been fully evaluated, yet. As you can see if you take a look at the typical diet composition of the subjects in the first, prospective trial (Porrata. 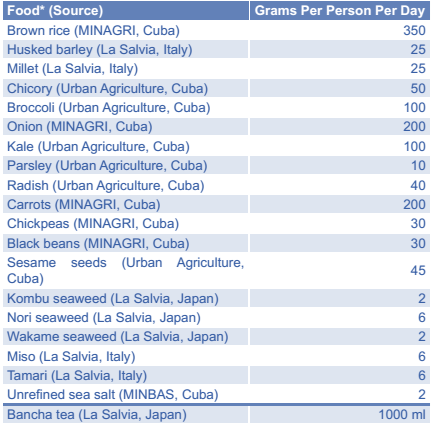 2009; see Table 2), the "macrobiotic" intervention was exclusively food based. It was composed of 40–50% whole grains (rice, millet and barley), 30–40% vegetables (carrots, kale, cabbage, broccoli, chicory, onions, red and white radish, parsley), and 8% legumes (adzuki beans, chickpeas, lentils, black beans), plus gomashio (roasted ground sesame seeds with unrefined sea salt), fermented products (miso, tamari, umeboshi) and seaweeds (kombu, wakame, nori). 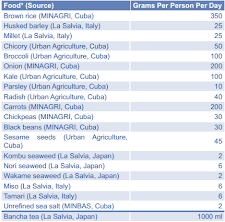 Bancha tea (tannin-free green tea) was the main source of liquid. The food intake was measured using the weight method for 7 consecutive days in the 2nd and 4th months of the intervention. The same goes for the compliance with the recommended (100% idiotic) macronutrient composition, according to which the subjects had to consume 15%, 20% and 65% of total energy in form protein, fat and carbohydrates, respectively. If you take a look at the data in Figure 1 there is yet still no debating: The tons of macrobiotic whole foods worked magically - irrespective of the suboptimal protein intake (66g per day, only), the study participants lost tons of fat weight and increased their lean body mass - certainly not bad, if you asked me. 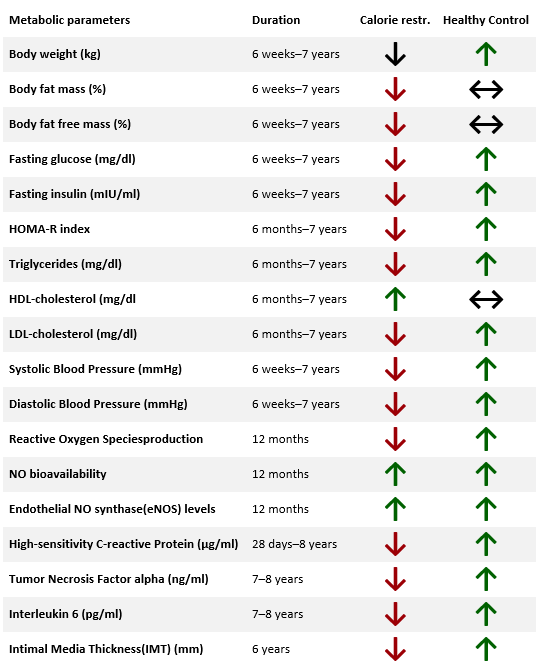 There is yet still one question that needs to be answered: Is this a results of the macrobiotics or a result of the obligatory switch from the Western "convenience" to a whole foods diet that induced these changes? If you asked me, it's the latter. This does not exclude the beneficial influence of an increased macrobiotic content of the diet and corresponding changes in the bacterial make-up of the gut. In the end, this is yet a necessarily result of the enforced revisions the sixteen 60-year old adult type II diabetics who were all treated with insulin made to their food selection. Bottom line: It may be hidden in plain sight, but the two studies I discussed in today's news quicky do have something in common. Something that's not just the term "type II diabetes": It's the way they can remind you of the things that actually matter: Food selection and quantity (well and exercise, or I should say "physical activity" - although it's not directly mentioned in the studies). If I read the questions about diet I receive on an almost daily basis, the majority of them is concerned with irrelevant details that revolve around insignificant changes in macro- and micro-nutrient composition. At times it sounds as if you were eating figures, not foods. No wonder that this does not produce the weight loss or hypertrophy effects you could achieve if you started to count the number of eggs, potatoes and tablespoons of oil you consume instead of obsessing about the different effects of eating 300 and 324 rice corns... Ok, I am exaggerating, but if this exaggeration made you feel insulted, you are probably one of those people who would benefit most from letting go of the fractional digits in his or her food logs. Luoto, R., Laitinen, K., Nermes, M., & Isolauri, E. (2010a). Impact of maternal probiotic-supplemented dietary counselling on pregnancy outcome and prenatal and postnatal growth: a double-blind, placebo-controlled study. British journal of nutrition, 103(12), 1792-1799. Luoto, R., Kalliomäki, M., Laitinen, K., & Isolauri, E. (2010b). The impact of perinatal probiotic intervention on the development of overweight and obesity: follow-up study from birth to 10 years. International journal of obesity, 34(10), 1531-1537. Musso, G., Gambino, R., & Cassader, M. (2011). Interactions between gut microbiota and host metabolism predisposing to obesity and diabetes. Annual review of medicine, 62, 361-380. Porrata, C., Sánchez, J., Correa, V., Abuín, A., Hernández-Triana, M., Dacosta-Calheiros, R. V., ... & Pianesi, M. (2009). Ma-Pi 2 Macrobiotic diet intervention in adults with type 2 diabetes mellitus. MEDICC review, 11(4), 29-35. Qin, J., Li, Y., Cai, Z., Li, S., Zhu, J., Zhang, F., ... & Yang, H. (2012). A metagenome-wide association study of gut microbiota in type 2 diabetes. Nature, 490(7418), 55-60.